While at Sera Monastery for the Jangchup Lamrim teachings, Lama Zopa Rinpoche visited Shedrup Sungdrel Ling — the Sera IMI House — and the monks living there. According to Rinpoche’s assistant Ven. Roger Kunsang, the monks are all doing very well with their studies at Sera Je. The ordained students within FPMT form the International Mahayana Institute (IMI). There are several IMI communities for monks and nuns around the world, including the Sera IMI House at Sera Je Monastery in South India. 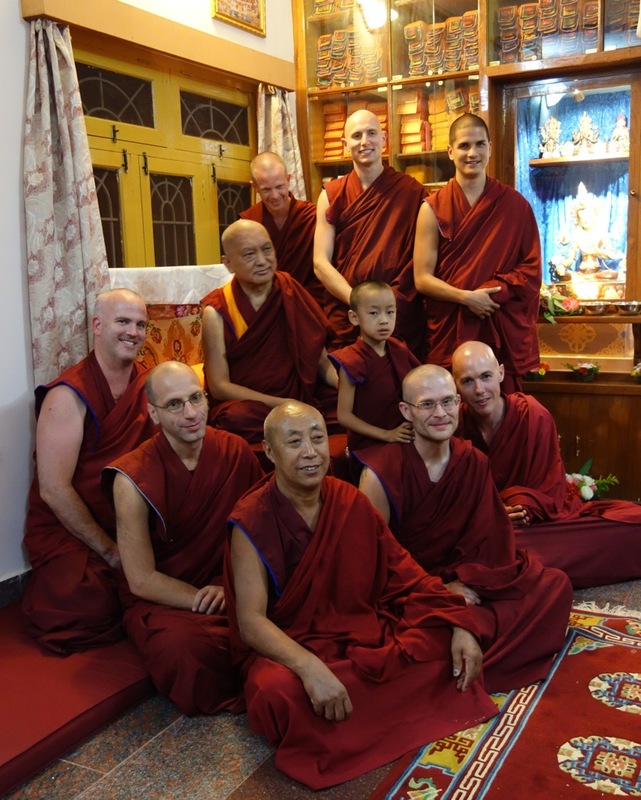 “Lama Thubten Yeshe, the founder of FPMT, established the IMI in 1973 in order to develop a community of nuns and monks where we would not only be cared for, but where we would also take care of each other,” explains the IMI website. Visit the Jangchup Lamrim website for more information and to view streaming video and photos of the teachings with His Holiness the Dalai Lama.